needed to receive their rights from government agencies and medical insurance companies. Yad Tamar’s research has revealed that as many as 80% of cancer patients in Israel are either fully or totally unaware of their rights. 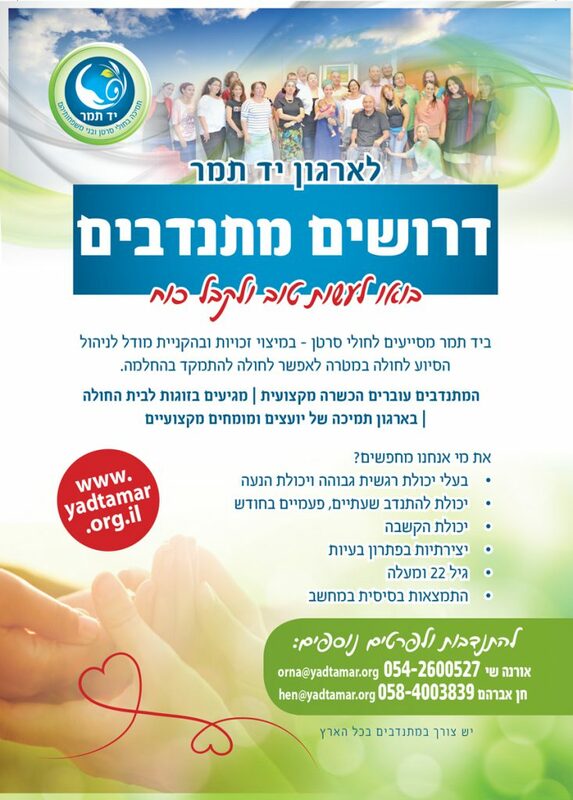 Join Yad Tamar and make a difference! Yad Tamar (RA) was founded in 2009 by Michael Wassertail for his sister Tamar, who died of cancer. The association aims to provide healing powers to cancer patients through community and environmental reinforcement. Please contact us and we will be happy to assist you!